Here's a quick tutorial I put together before the Big Move and never had a chance to post. 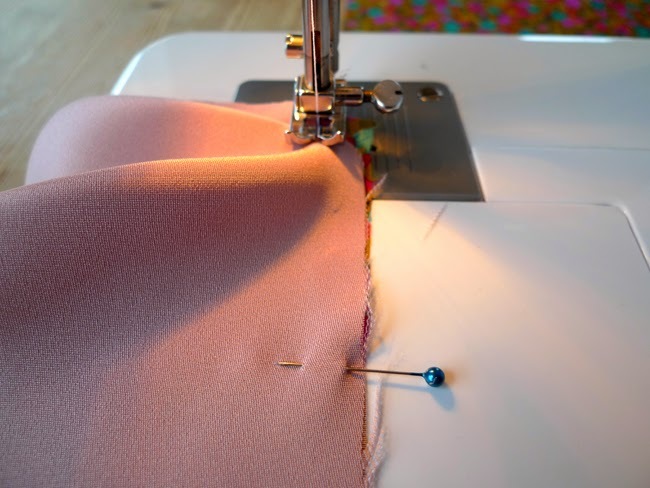 It's a how-to on sewing corner pieces together - have you tried this? I didn't even realise that I didn't know how to sew corners like this, until I sewed myself into one (more mentally, than physically) and was rescued by a brilliant sewing instructor who showed me the way out of my right-angle traffic jam... and then the possibilities opened up. 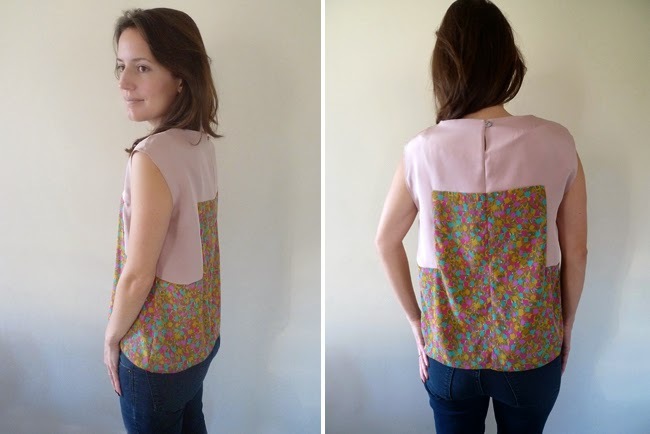 For this tutorial, Fabric 1 is the flowered fabric and Fabric 2 is the pink fabric. *Lay Fabric 2 face down on top of Fabric 1 (right sides together). *When you get to the pivot point, drop your needle in the fabric and lift your sewing machine foot. *With scissors, snip the top fabric only (Fabric 2) close to the needle, but not all the way through to the needle. 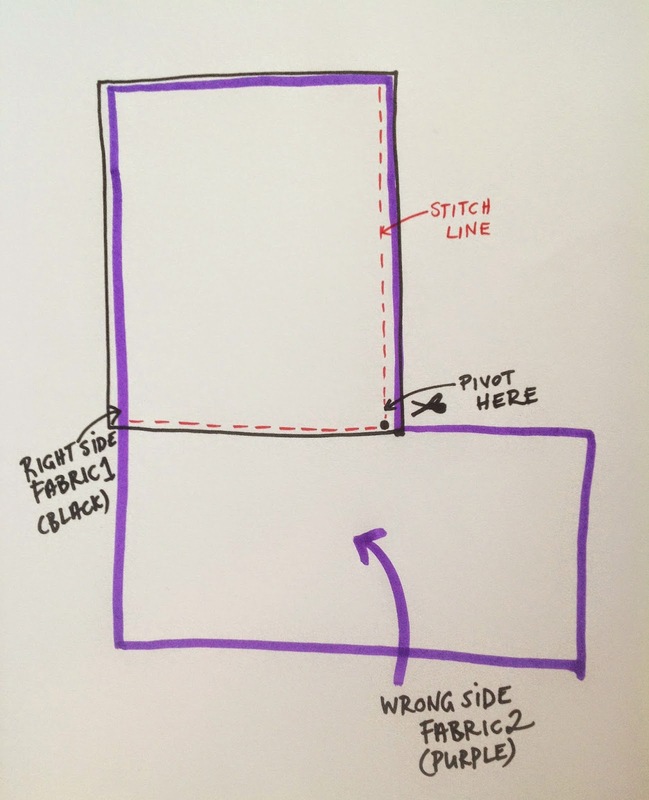 *Pivot both pieces of fabric clockwise 90 degrees, so that the second stitch line is in sewing position. Open the top fabric (Fabric 2 - the one you just snipped) and pull it around clockwise so that it matches the edge of Fabric 1. Don't overthink this -- as my wise sewing instructor said, "it will be obvious!" *Sew down the length of the second seam. It's really worth practicing this a few times before you try this on your favourite fabric. I got a little impatient on this blouse and didn't do a few practice runs first...with this there's really no going back! This is a handy little trick when you have two pieces of fabric, neither big enough to be a blouse on their own. Simply draw seamlines onto an existing pattern, add seam allowances and stitch together as above. Thank you so much! Brilliant tutorial! I love this! Thank you for sharing the steps. Great fabric combo -- so happy and summery!